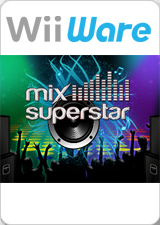 Mix Superstar is a Music/DJ WiiWare game released by Digital Leisure. With over 1000 loops included, the player uses the Wii Remote to combine and mix the loops into musical tracks, which can be saved for later or sent to friends via wii messages. All loops are royalty free, so users are free to distribute their tracks and even make money off of their creations. Mix Superstar includes Wii Speak support, allowing the user to record her own vocal loops to insert them into the tracks. The graph below charts the compatibility with Mix Superstar since Dolphin's 2.0 release, listing revisions only where a compatibility change occurred. This page was last edited on 24 February 2018, at 15:26.